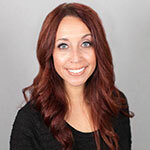 Rebecca joined Friedman Williams in 2018 and has many years of experience as a full-cycle Recruiter for over 6 years. Her industry focus has been executive roles within Administrative Support, customer service and all levels of temporary and direct-hire placements. Over the years she has built a network of talented candidates that pair well with her strong client relationships. Rebecca personally believes there is so much more to learn about the needs of both clients and candidates than what is on a job description and resume.